30 MAY 2013: SOUTH CENTRAL OK, KH WAVES! A strange season that felt like it was over before it began. Teaching four courses at the University of North Texas limited my opportunities early in the season, and then a quiet mid-May finally yielded to some decent chasing later in the month. 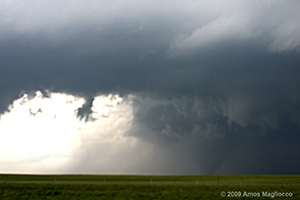 The highlight was the monster wedge near Bowdle, South Dakota, a tornado I'll never forget. Then I shut down my season and headed overseas for Europe on June 1. Did not chase again in 2010. I bought a house and moved in May of 2009, and, amazingly, the severe storm season cooperated and went into hibernation practically the entire month, freeing me of distractions or regrets at what I would have missed. I passed on some additional opportunities later in the summer as I spent ten days at a writers conference in Ohio and then returned to finish furnishing the house and opening a new writing project. I expect my number of chases will continue to decline over the next few years. I feel like I'm on the back end of my storm observing career, for a thousand reasons, all of which are fluid and boring and undeserving of explication. I still enjoy chasing and don't intend to stop, I only want to clear more time for travel and other interests. Coming to these words quite late, in March 2009, and it's clear in retrospect how different chasing was for me last year than ever before. I've never gone into the beginning of the following year without having updated reports from the prior season. 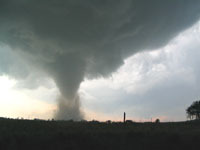 I still have tornado images from May 2008 I haven't examined yet, another first. I think it was a strange year for many of us who were dealing with the new absence, never more conspicuous than around storms and tornadoes.. I often felt I was going through the motions and had a weird detachment from what I was seeing. But still we chased, more than ever, and especially early in the year: with 9 chase reports filed before May, a personal record. Amazing structure early in the year and a slew of tornado days in late May to close the season, including the Douglas County, OK and Glen Elder, Kansas storms, two of my favorites. Chased many miles with Scott Blair, Bob Fritchie, Rachel Sigler, Derek Deroche, Katie Burtis, Paul Stofer, and others. I'm grateful for their friendship and support. 2007 brought some of the highest highs and lowest lows not only of my chase career but also of my life. 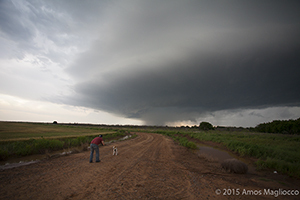 The year started well, with photogenic, chase-friendly storms in the early season, rare treats like Silverton and Seymour, and even the Olton, Texas intercept on April 21st. 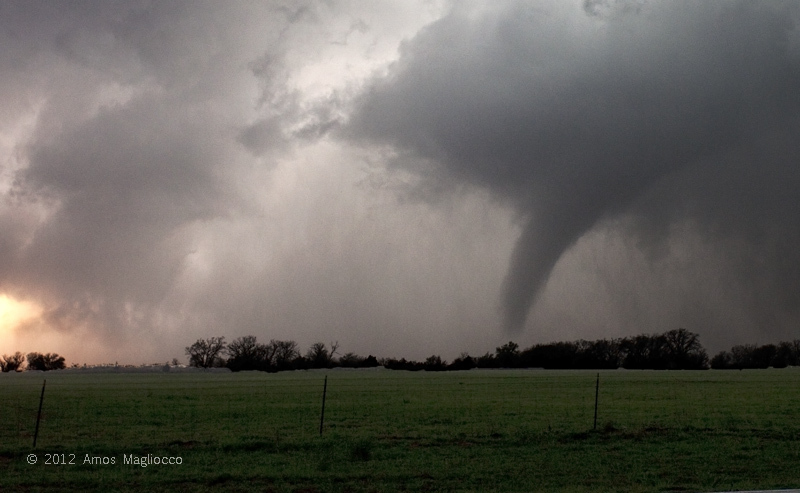 Then, in Tulia, Eric and I were struck by a high-end F2 but walked away unharmed, a small miracle. 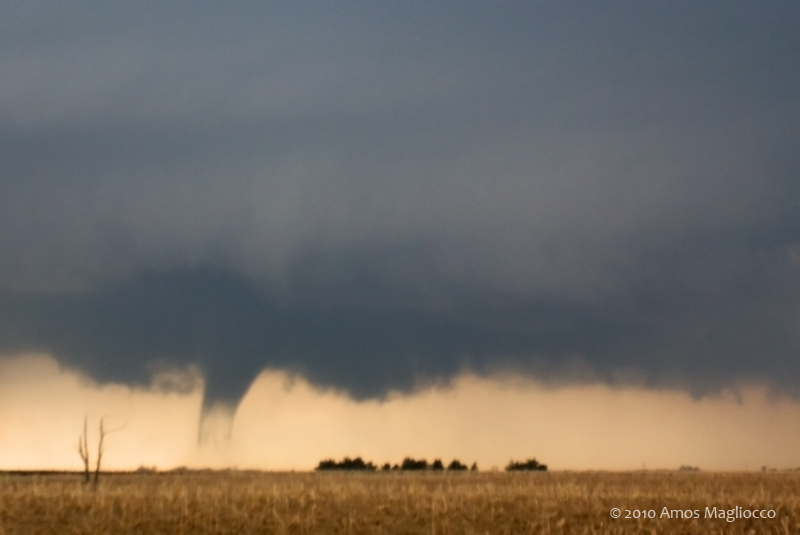 The chase season continued, though with fewer highlights, the remarkable structure on May 22nd among them. In September, we lost Eric to a catastrophic illness. Though I had begun chasing before I met him, I would not have forged the same commitment without knowing someone else so engrossed in nature's fiercest displays. Eric was always excited to talk about severe storms and chasing any time of year. He was the person I knew would still be out there when we were old men, and my chase logs below, year after year and chase after chase, are testimony to how unrecognizable spring will be without him. Yet, if, as Denis Johnson writes, "every fist grips its gift," then Eric's final gifts to me are new bonds with friends of his I hadn't known before, and powerfully renewed ties with others who also travel this difficult road. I have avoided the chase summary for 2006 hoping the year would include a sudden surprise like 2001 when a late fall event breathed life into the season. In 2006, however, those events are happening far to my north, in places like South Dakota or Minnesota. I'm no longer willing to travel that distance outside of May or June. Hopefully, October can bring a boost to the south plains and I'll rewrite this summary, but so far 2006 seems bound to establish itself as one of the driest and most difficult chase years in a generation. This was a tale of two chase seasons, no question. Or maybe even three, considering April was so productive before a meager first half of May sent me home for a long vigil of watching computer model data and hoping the pattern would change. When it did, I returned to the plains for the most incredible two weeks of chasing in my life, including a grand finale of five consecutive chase days with tornadoes on June 6, 7, 9, 11, and 12. 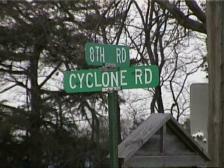 During those five days I witnessed approximately eighteen tornadoes. This is a stretch of success and unrivaled luck I would never have imagined and don't anticipate again. What can I say? 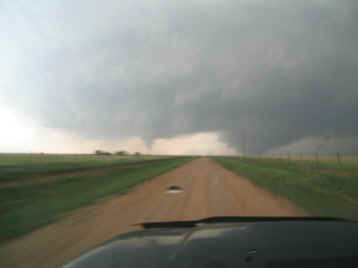 2005 was my finest chase season by virtue of the prolific conclusion. Another few notes about the bizarre chase year: Oklahoma recorded zero tornadoes in May, and there were zero tornado deaths in the USA during April, May, and June. Either of these facts alone would be extraordinary; together they astound and will likely inspire a fresh round of anthropocentric speculation about what human beings are doing (or failing to do) to anger or please larger cosmic forces. A fine summary of this season is the DVD "Storms of 2005," a co-operative effort of more than fifty chasers with all profits going to charities and the Red Cross. 2004 was one of the most prolific years in chase history. 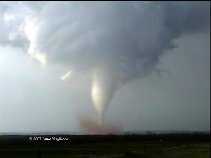 Several friends of mine observed twenty five or thirty tornadoes and dozens more supercells, many with fantastic structure. 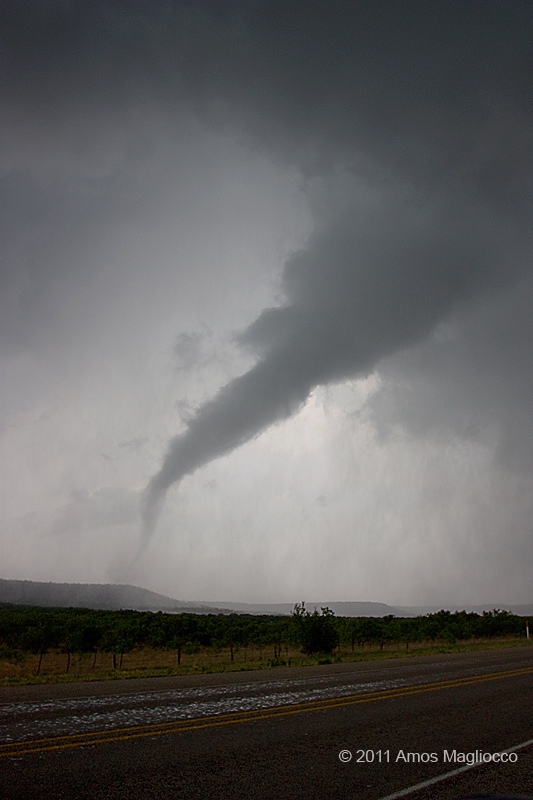 Events this year included storms producing multiple tornadoes with more than one on the ground simultaneously. I had a very satisfying year as well, closing a little early due to a gorilla hail encounter on June 1, but a fine season nevertheless. What a strange year. A frustrating beginning as the immortal First Ten Days of May raged around me, but I came up short on good imagery and satisfying chases. May 4 and May 9 were fun, and May 15 was the best day of the year for me. My first good chasing on the front range came later the next week, then a quick trip back to Nebraska in early July still didn't make up for having missed June 23 and 24 in South Dakota. 2003 was the first year I kept a blog during the trip, and it was a good way to make notes to myself for future reports and keep in touch with people wondering where I was from one minute to the next. 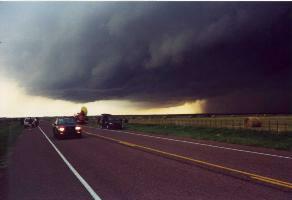 2002 wound up as a fine chase season despite several all or nothing days. 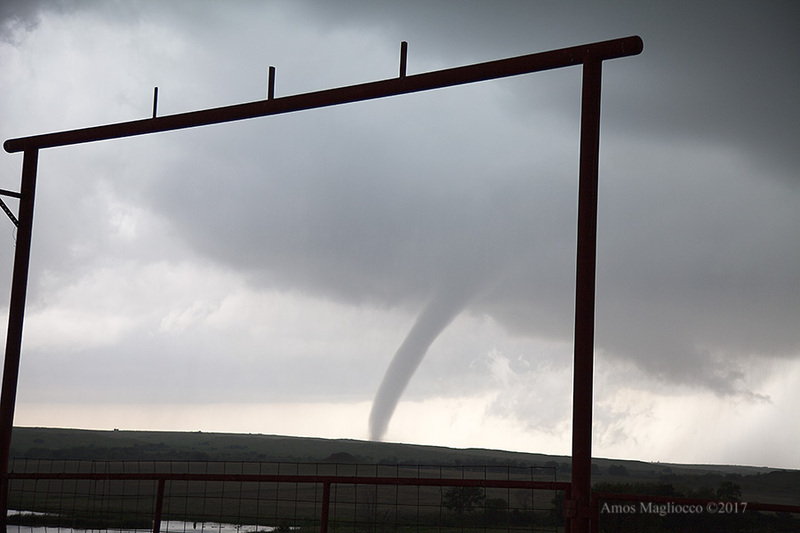 The highlight was May 5th in Happy, Texas where Jeff Lawson and I witnessed three tornadoes within a few hours. The day before, Vick, Texas, yielded small tornadoes and a wicked hail storm that inflicted $3000 damage on my 4Runner. 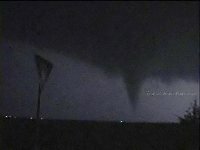 Lispscomb and Pampa, Texas later in the month were fine storms and the year ended with a remarkable surprise on December 30th when I chased in a rental car using only a home NOAA radio and a Rand-McNalley map. I was in the state visiting friends and hadn't intended to chase. with the October 9th outbreak in Oklahoma. 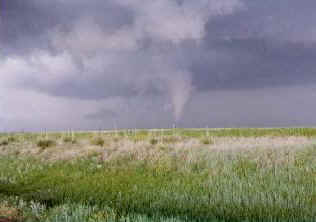 Tornadoes eluded me in 2000 like they knew I was coming. So many times I was in the right place at almost the right time. Bagged a few brief, questionable spin ups but nothing spectacular. 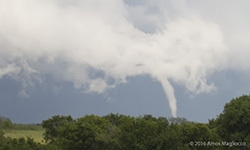 Among the famous tornadoes I missed despite having made good forecasts to put myself in place for intercepts were Fort Worth, Texas; Olney, Texas; Brady, Nebraska; and Lake Whitney, Texas. and the remainder of the year was fruitful. I still lived in Florida in 1998, but took a long, ridge-dominated vacation in late May. Not much luck; lots of learning. Clinton Norwood, a professional photographer and good friend of mine, accompanied us on our trip to the plains, and took more pictures of us staring into the sky than storms or tornadoes. In December of 1996, I took a job in South Florida with the idea that I would stay out of the Alley no more than two years. Obviously this cut down on my chasing drastically, particularly in 1997 since I hadn't accumulated any vacation time. I don't regret the experience at all: made some great friends and learned a lot about South Florida's unique, boundary-rich tropical environment. The narrow, unforgiving peninsula taught compelling lessons in storm interception which have served me well on the plains.